Your in-house sign designer is a master at setting up channel letter layouts and drawings for both presentation and for fabrication. The drawings get completed quickly and are very accurate (provided the job calls for traditional glued-on trim cap). 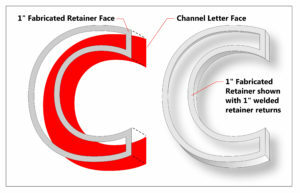 However, if the channel letters are large and they require a fabricated face retainer, the design process slows because of the steps required to create the fabricated retainer that holds the face in place. Yes, there are some tricks that can short cut this process a bit; however, it’s typically been a time consuming process that never provided the fabricators with a completely accurate router file. However, CorelDRAW X7 has provided a new tool to make this job fast and accurate.What is a Fabricated Channel Letter Retainer?A fabricated channel letter retainer is one that is fabricated just like the retainer for a lighted cabinet is. (See Channel Letter Retainer) The major difference in fabricating a channel letter retainer is that a cabinet is usually fabricated with long straight edges with possibly only a slight curve added to the top or bottom edge of the cabinet. Cabinet retainers are easy. However a channel letters perimeter is a combination of tight curves, 180 degree half circles and short straight sections. 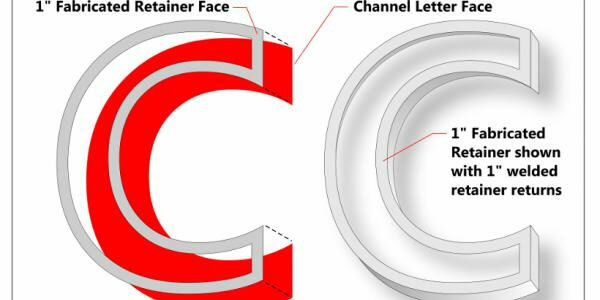 Fabricating a retainer for a channel letter is almost as much work as making the channel letter itself, and poses significant pitfalls if return thicknesses and letter backing sizes are not watched closely during the routing process. The artwork file must be right, or costly problems can occur during letter assembly. What is an inline outline and why is it so important for this process? Simply put, it’s an outline that is placed on the inside of the letter perimeter rather than the outline straddling the edge of the letters perimeter. (See Screenshot) As it’s been with the previous versions of CorelDRAW, the only option for an outline adjustment or placement was how the ends and corners appeared. Currently, the outline tool places the outline directly over the top of the letter perimeter, or edge of the letter. (See Outline Tool). Half of the outline is inside the letter, and half of it hangs over the edge of the letter’s perimeter. This is fine for most graphic print applications, but for creating a channel letter retainer this inability to designate where the outline is placed simply made the process more time consuming. As a result, the retainer had to be mechanically drawn by node editing a transparent duplicate of the letter placed directly over the channel letter image. It was not easy making the edge of the outline line up perfectly with the perimeter or outer edge of the letter (See Outer Edge). It was not a very accurate way of creating a channel letter retainer. The end result was a router file that was less than optimal and usually required some hand-trimming to make it fit right after assembly. What about the thickness of the return material? 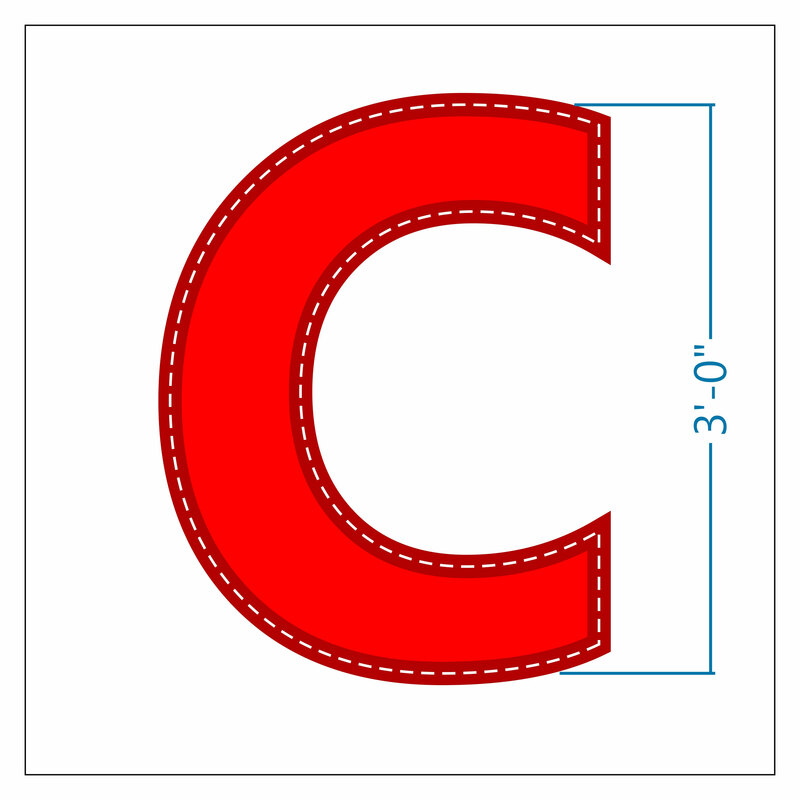 Now that you have created a file that exactly duplicates the perimeter of the letter, what about the thickness of the channel letter return? Are you using stock coil or something custom? 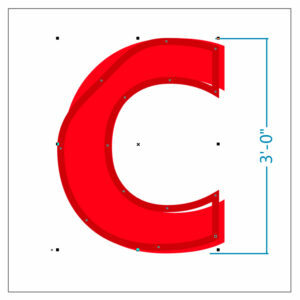 If the channel letter requires a fabricated retainer, chances are that the letter is very large in size, and probably over 3 or 4 feet tall. 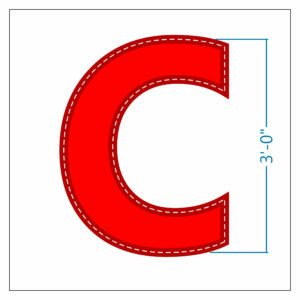 For most large channel letters, a thicker return is desirable for the added stability it provides the letter. Whatever the material thickness chosen, the face retainer will most likely be made from a material thick enough to be welded without becoming distorted. It is important to remember that if you seek to have a smooth transition between the two retainers then this return material must also match the channel letters’ return material thickness. If it’s a traditional overlap attachment (similar to trim cap) then the return thickness is less critical. Once these parameters are established, the router operator can easily add or subtract the return material thickness. In this way the parts and pieces can be routed so that the edge of the return either matches the letter return, or overlaps it properly and evenly all the way around the letter. Also, the face material can also be sized appropriately to accommodate for expansion within the face retainer to avoid the exploding letter syndrome that occurs when tolerances are too tight and the acrylic expands larger than the retainer. I cannot express how time-saving this new CorelDRAW X7 feature is. It completely changes the channel letter retainer building game and saves the designer hours of mind-numbing node editing. 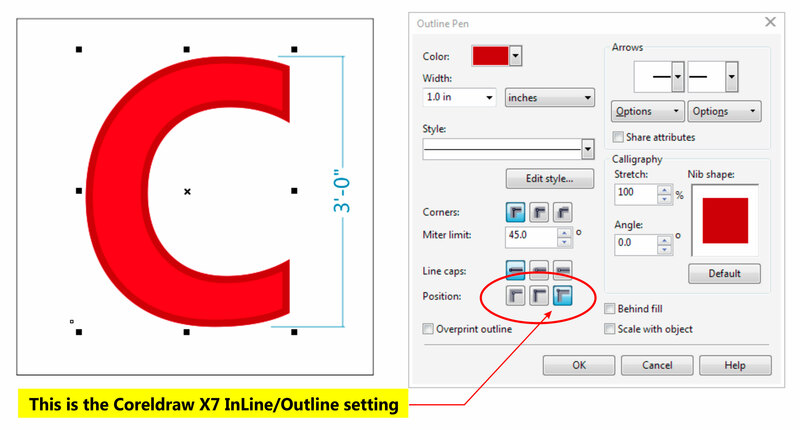 This tool allows the designer to quickly set the inline outline and then separate it from the letter graphic as an object. Done. Now, this new retainer face object will fit perfectly over the top of the routed face, and also match the routed letter back. In this way the inline outline is an exact fit to the perimeter of the letter shape and gone are the days of node editing.